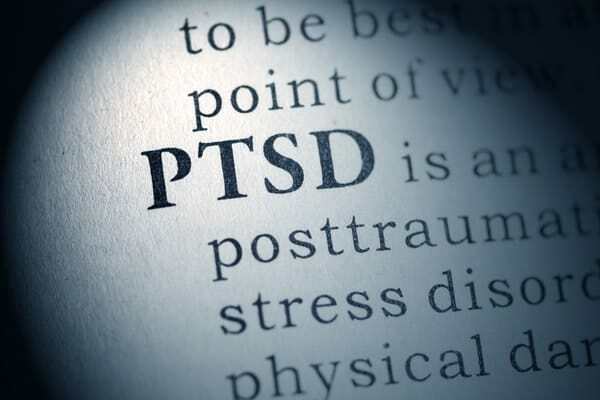 According to the National Center for PTSD, approximately 11 – 20 percent of military veterans that served during Operation Enduring Freedom (OEF) and Operation Iraqi Freedom (OIF) suffer from PTSD. While many of these veterans may suffer from many of the symptoms of this disorder, specific conditions, and criteria that must be met in order for someone to be formally diagnosed with PTSD. There are a number of treatment options for PTSD that may involve medication, mental therapy, and/or physical therapy. However, if the symptoms are so severe that a veteran is incapable of performing daily living activities or maintaining employment, they may consider applying for Social Security Disability benefits. Unfortunately, the process to apply for such disability claims can be long and arduous. Once referred to as “shell shock” or “combat fatigue,” Post-traumatic stress disorder (PTSD) is a mental or psychiatric disorder in which individuals have either witnessed or personally experienced a traumatic event such as combat or a terrorist act. PTSD can manifest as intensely disturbing feelings or thoughts in the form of sudden flashbacks, feelings of fear, or anxiety and depression. As a result, someone who suffers from this disorder will commonly avoid certain people, places, or events that may trigger these intense emotions. Sleep disturbances, trouble concentrating, or even intense feelings of survivors guilt can negatively affect a veteran’s life and prevent their ability to function normally in society and sustain employment. PTSD can place a veteran in danger of developing a drug addiction, eating disorder, depression, or even suicidal thoughts. Moreover, symptoms of PTSD can also cause physical threats to the body such as high blood pressure, heart disease, autoimmune disease or stroke due to extremely high levels of stress. While the traditional psychology vertical uses a traditional set of standards to diagnose PTSD, for a soldier to be diagnosed and qualified as having a military disability, a special Military Disability Rating must be assigned. Military disability rating decisions are applied by entities known as rating authorities. These rating authorities are required to abide by VASRD laws when assigning military disability ratings to mental conditions such as PTSD. The VA will then use these ratings to determine if qualification of benefits can be granted to a veteran based on his or her diagnosis. The Military Disability Rating is indicative of the veteran’s conditional impairment, ability or inability to work, and to which degree the veteran can function and contribute to society. Because both payment amounts and eligibility requirements differ between the SSD and the VA, one of these agencies may deny a claim for benefits which can result in the receipt of no benefits from either agency. To make sure that you receive the benefits you need, you need to ensure that you file all paperwork thoroughly and completely. An experienced disability attorney at Ted Machi & Associates can ensure that you have all the medical documentation and other information necessary to complete your SSDI application. Contact us today and let us help you with the disability claim process.